Whispers of a Diabolist were heard within Stavenn and Khandava, calling any who would listen to her bidding. She opened a portal, allowing residents the ability to meet her on the edge of the Planes. Caelya was the one to answer the call and stepped through. It is there she met the Diabolist and was told of a new found power that those within the Diabolist profession can wield. She explained how Sola’rae’s work has allowed her to connect to the Pit and Spirit planes through the pocket created by soul energy. It is there her and Caelya spoke of the power of Ritualism, the ability to scrawl symbols in the air with their daeggers. She then spoke of Nightfall, and how it can allow a Diabolist to pull a demon from the Pits or a spirit from the Underworld through the Rashirmir, twisting it to do their biddings. She then told the Prophetess she required aid in creating a wraith, this will then allow her to spread her knowledge to other Diabolists, allowing them to grown in strenght and power. The Prophetess agreed, but only because she seeks knowledge, and so they began. 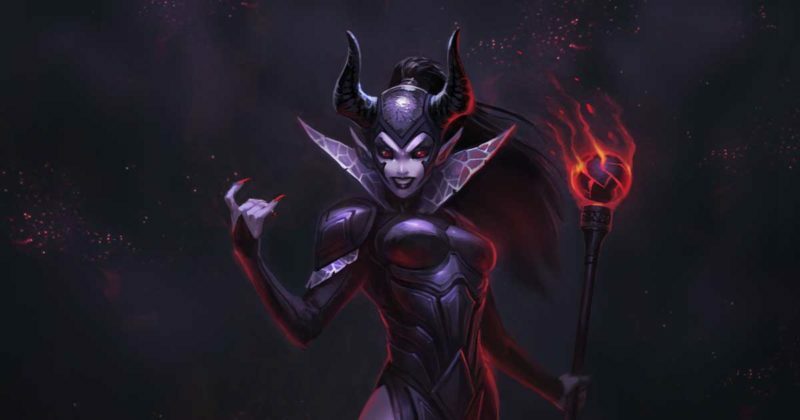 The Diabolist used what power she had to call into the Pits, pulling a beastly demon out through the Rashirmir, its body distorted and wavering in and out of view. She began scrawling ritualistic symbols in the air, creating a circle of power around her, drawing the beast to her. Caelya protected the Diabolist as she worked, creating a barrier of Necromatic energy to keep her safe as she continued her ritual. Once the ritual was complete a burst of energy escaped the Diabolist, binding the demon to her, thus morphing its form into a fiery wraith. She then completed the binding of her and the wraith, allowing all Diabolist to hold the power she has discovered. Now all Diabolist can command their Ouroboros through Malignosis, scrawl symbols with their daeggers through Ritualism, and summon wraiths from the Pits and the Underworld through the Rashirmir with Nightfall.